Signature Iron Doors are the perfect accent to any home. Our hand crafted iron doors are designed to beautify and secure every home. From the light yet sturdy and charming garage door to the magnificent entry door, elegant railing, and matching wine door within, Signature Iron Doors are guaranteed to impress. 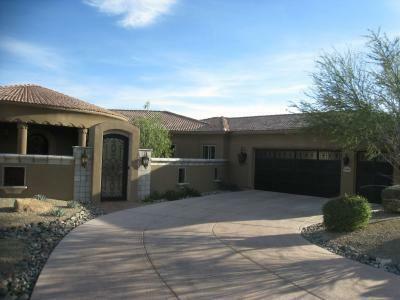 We are located in Phoenix Arizona and have worked with homeowners all over the Scottsdale. Call us and visit our showroom and meet our sales team and technicians who are ready to provide your perfect Scottsdale home iron garage door.